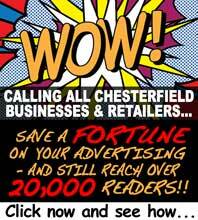 Chesterfield First aiders have pioneered an initiative that has led to children nationally being taught first aid skills in schools. 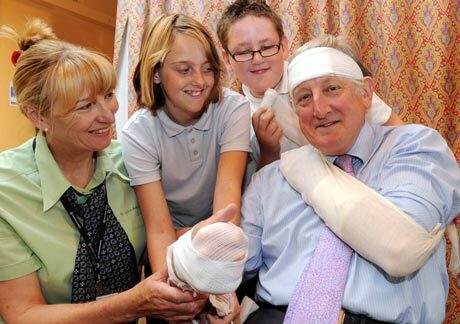 Schools Cllr - Cllr Mike Longden gets the first aid treatment from North Wingfield Primary pupils Charlotte Robinson (11) and Reece Cutts (11) with help from St John Ambulance trainer Carolyn Pope. This year, children in 80 local schools benefited from lessons in which children as young as five were taught vital first aid skills. The scheme, masterminded by St John Ambulance trainers, has proved so successful that it has now been extended countywide - and also taken up by schools in Yorkshire, Norwich, Devon, Somerset and Kent. This week trainers from across the UK met in Chesterfield for a two-day conference, to share their experiences and develop ideas for further extending the programme. St John Ambulance, the nation's leading first aid charity, is also lobbying Parliament to make the lessons part of the national curriculum. Carl Makins, Head of Schools and Community Projects has driven the initiative for St John Ambulance Derbyshire. "No one should die because they needed first aid and didn’t get it," he says, "We believe that every child should be taught first aid skills along with reading, writing and maths. Even a child as young as five can learn the basics - and that can make them the difference between a life saved and a life lost." The St John Ambulance schools programme dovetails with the Government's Every Child Matters framework and also with the citizenship strand of the national curriculum. It is supported by Derbyshire County Council - Councillor Mike Longden, Cabinet Member for Education, said: "St John Ambulance carries out fantastic work across the county and we are pleased to be working in partnership on this project. Schools have been really enthusiastic about getting involved and thousands of children have had a chance to learn important medical messages and skills during the pilot stage. School is about broadening life skills as well as gaining qualifications." One of the schools pioneering the programme is North Wingfield Primary. Headteacher Dorcas Jennings said: "I think this is a life skill that everybody needs - I'm incredibly aware of the fact that immediate response really can be the difference between life and death. "We've tackled this from five-year-olds right through to 11 and the children have loved it. We've run sessions for parents as well." Another early pioneer is Dronfield Junior, where regular staff training sessions have now been extended to children too. Headteacher John Anderson says the entire school community benefits from first aid. "It's important because in many cases it might be a child who is first on the scene of an accident and they can’t always rely on an adult being there," he says. "The children love the relevance and the practical nature of the training sessions. They're very keen to put it into practice." Schools have a choice of three one-day training packages: teaching basic skills to a number of classes, a more in-depth course for a single class, or a family package that combines both. 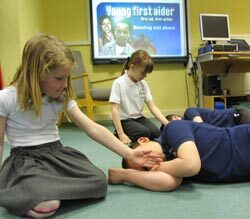 Children are taught about the recovery position, how to check for breathing and how to give rescue breaths and chest compressions if necessary. Anyone interested in first aid training, or joining St John Ambulance, should visit www.sja.org.uk/derbyshire or call county HQ on 01246 200272.